Here you can see my process has run twice, once back in August when I first wrote this script and just now when I ran it again. As this is based on sales demo data, you can see in the two expanded examples the data has not changed but in a real world usage I’d like to think the data would have changed / been updated! 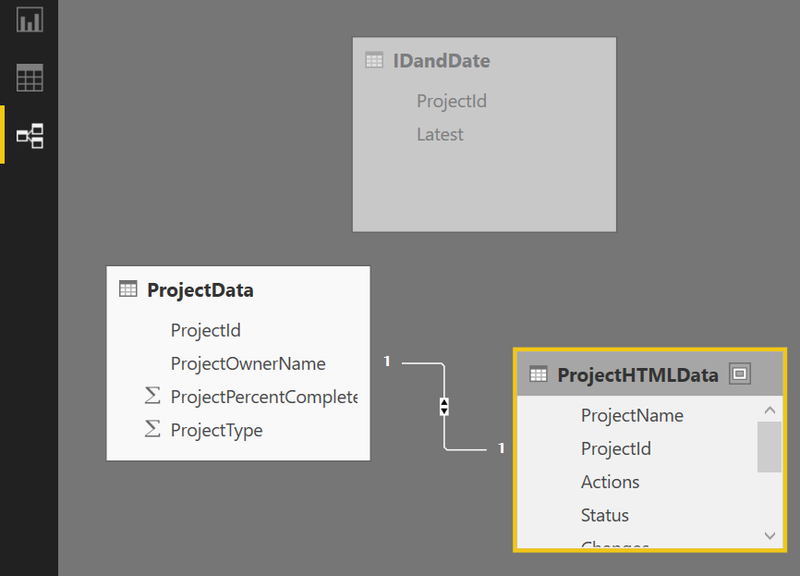 Having the data in one list enables a SharePoint OData call from Power BI, as I have included the ProjectId in the data on the list, this can easily be joined with the data from the main Project OData Reporting API. 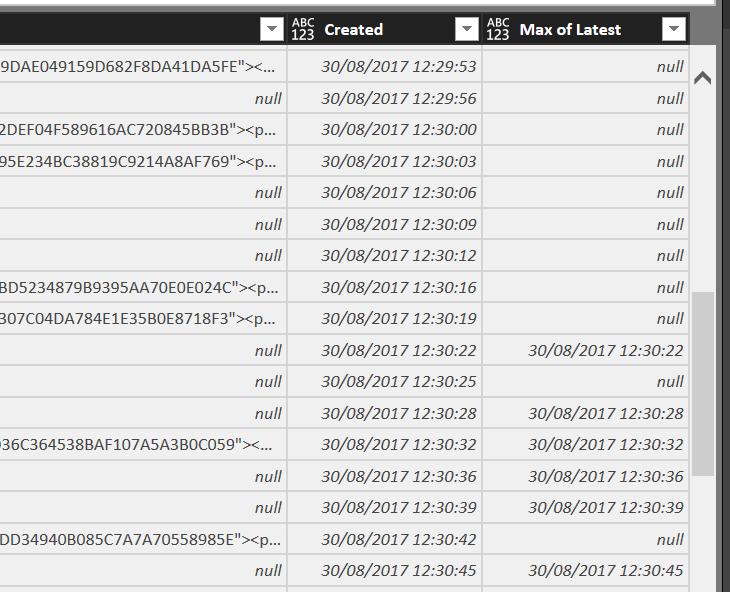 As this data is in a SharePoint list you might need to consider the user permissions / access to the list. If this was running on a schedule, either from a Windows Scheduled task if on-prem or maybe a scheduled Azure Function if you wanted to make use of Azure PaaS, set the schedule to run before the reports were due allowing time for this process to complete. I won’t cover the PowerShell script in detail here as I will create a dedicated post for that in a week or two, but I will highlight the changes required if you were to start with the OData snapshot example. Once that runs successfully with an account that has full access to all projects and edit access the the SharePoint list, your target list will contain all of the projects along with the selected fields. As mentioned, I will post this full script in a week or two once I get a chance to tidy a few bits up in the code sample but hopefully the screenshots of the changes along with the snapshot example PowerShell script, there will be enough pointers to get started. 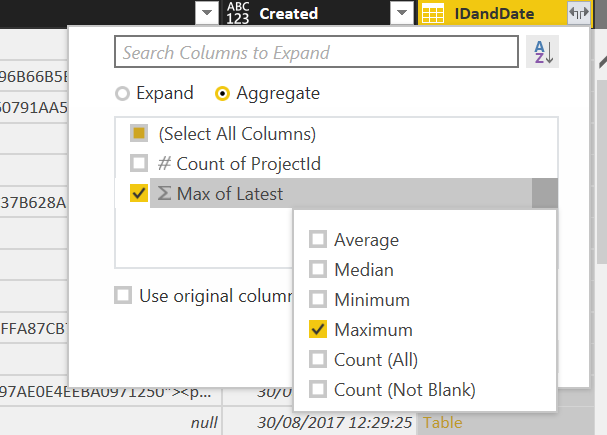 Now the data is in a single source, it is very simple to use in Power BI. Hold down the Ctrl key to select more than one column per table for the merge. As you can see, this is just a simple example like the others just to highlight the HTML formatting being rendered in Power BI. 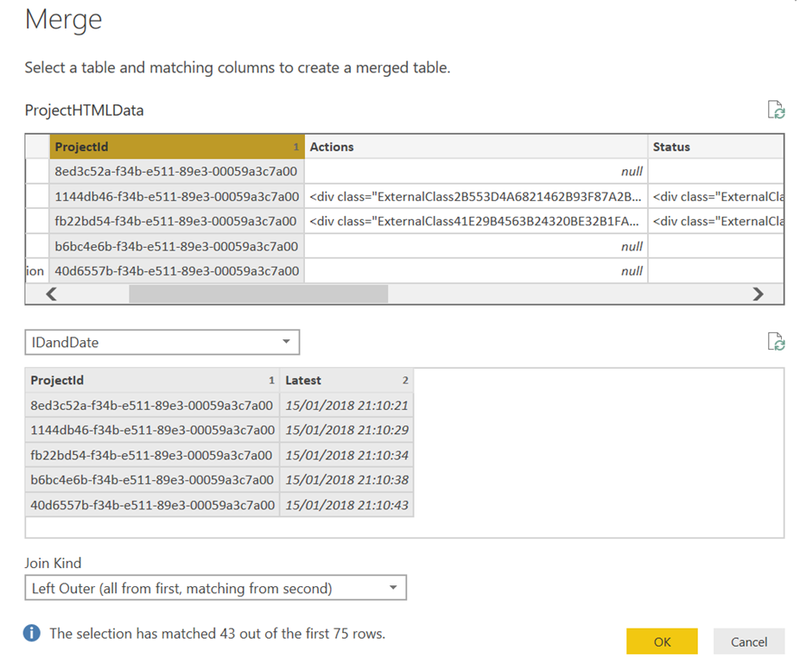 Power BI can get data from the Azure SQL Server and this data will also refresh in the Power BI App Service. 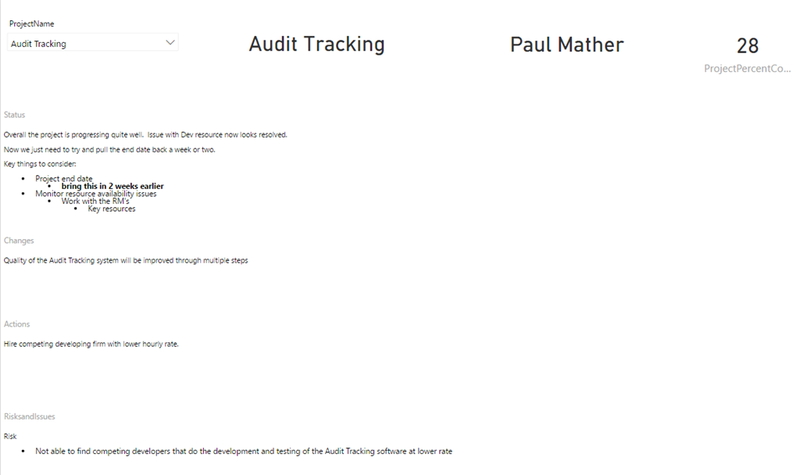 Feel free to contact me if you have any queries or questions but hopefully that gives you some ideas on including the HTML formatting in your Project Online reports using Power BI!